From almost 200 original entries, the Stella Prize judges — writer and critic Kerryn Goldsworthy, author Kate Grenville, actor and creator Claudia Karvan, bookseller Fiona Stager and broadcaster Rafael Epstein — have selected 12 books for the longlist. Criteria for The Stella Prize are that the works be “original, excellent and engaging.” It is an “eclectic longlist,” according to the judges, one “that reflects the breadth of imagination, knowledge and skill in contemporary Australian women’s writing.” The longlist includes works of several genres, including short stories, speculative fiction in verse, fantasy and nonfiction: “stories from the past and from the future; stories of children at risk, of racial tension, of world travel, and of unimaginable danger and loss.” (You can read more about books on the longlist on The Stella Prize website). An Opening by Stephanie Radok. For the Stella Prize judges, these books are “reading treasures,” books that represent the best of the best Australian women’s writing. Their absence from AWW’s review lists suggests that quality books by Australian women still aren’t coming to the attention of readers — even avid readers, like the hundreds of bookbloggers participating in the AWW challenge, readers strongly motivated to discover new works by Australian women. The Stella Prize aims to help to change that. The shortlist will be announced on Wednesday March 20, and the prize itself will be awarded in Melbourne on the evening of Tuesday April 16. Book giveaway: Scribe Publications, in conjunction with AWW, is giving readers a chance to win books by several Scribe authors, including two authors longlisted for the Stella Prize, Cate Kennedy and Amy Espeseth. 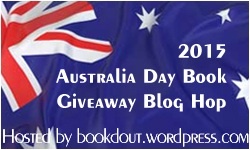 Details can be found on the Australian Women Writers blog. Entries close on February 28. *Note: This is a modified version of a blog post which first appeared on HuffPost Books.